I need help identifying parts that I removed about 17 years ago. I will post parts as I find that I don't where they go. 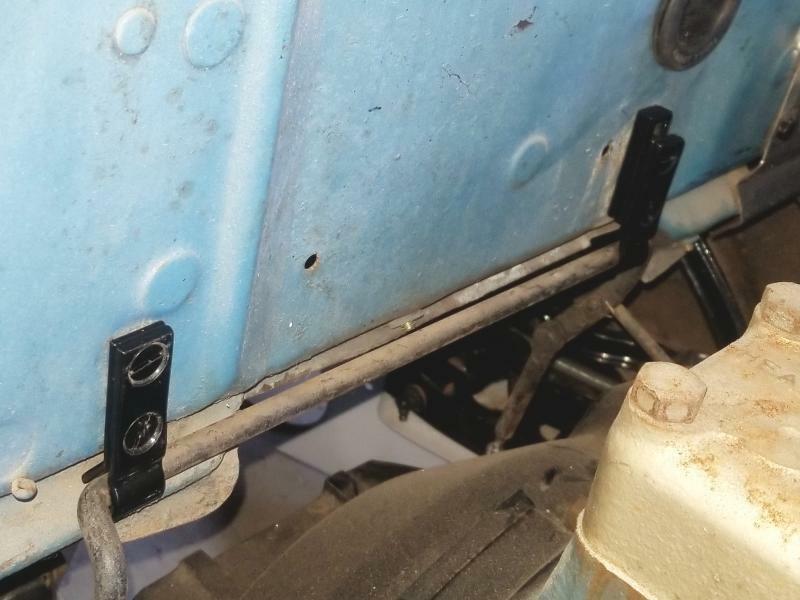 The first part is part of the throttle linkage bracket but I don't know what side it goes on. 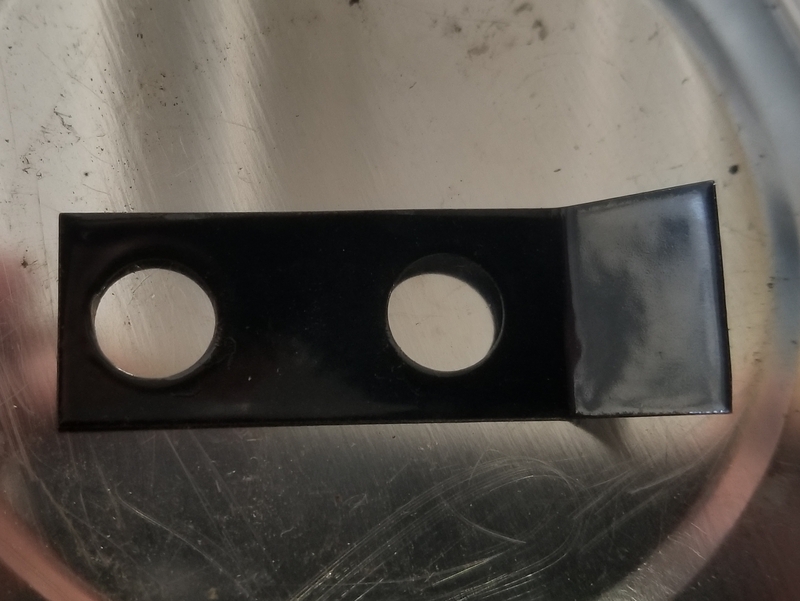 The part is very thin maybe about 1/16" thick. The Dodge Brothers club has a tech adviser for '36's. He owns an original car that he can send you pictures of. Look in the front of the newsletter. The first photo shows the configuration of those parts as they are on the car. There should be a very thin flat spring in the same shape as the thin piece that goes between the thin piece and the thicker outer piece to keep tension on the rod. There are 2 of those angle pieces, one for each side and they are both alike. The thick rectangular block on the left side makes up for the firewall recess. I assembled the parts I had on pic one by looking at pics that I took before taking it apart and everything looked good until I found the thin piece that is on pic two. If that is a spring tensioner and their is supposed to be two I guess I am missing one. As always thanks for your help!!! Can't really tell by the photo, but the spring is very thin like steel banding. I'm not sure that it would make a lot of difference if the springs were missing unless you have a lot of up and down movement at the pivot points. If you need one, I might have an extra here.